The subscription market is in the midst of profound upheaval. The tactics that propelled many of the household names to the top aren’t working any longer. In our increasingly saturated market, growth hacks and marketing gimmicks just won’t cut it. I recently hosted a webinar where I shared how the market is shifting underneath our feet and laid out the steps you can take to put your business back on firmer ground. Check out the full recording above to get the full story (plus answers to 20+ of your questions) or read on below. The new plan of attack for subscription businesses starts with the most important person to your business: your customer. We’ll look at the increasing importance of customer development for growing your business and walk through a case study that shows how you can overhaul your monetization strategy in under 12 hours. When we started building Price Intelligently, the subscription market resembled the Wild West. Heavily funded new entrants were obliterating their competitors with superior tech; marketing channels were appearing left and right. There were higher barriers to entry, but lower barriers to success. The market has changed dramatically since then. Competition has skyrocketed, the number of marketing channels has leveled off, and time required for onboarding has plummeted. Yet, average NPS scores have steadily declined for the last five years. Our customers aren’t any happier with the products we’re delivering and it’s easier than ever before for them to switch to a competitor. We talked in more depth about these trends in our recent post on the state of the subscription economy, but the consequences are simple: what once worked isn’t working today. If you continue to use the growth tactics in use five or ten years ago, it’s going to have dire consequences for your business. Acquiring customers is now a survival technique, not a growth strategy. All of the data shows that focusing your efforts on continual customer acquisition instead of improving your pricing and retention actually puts a huge brake on your growth. The top subscription companies out there have realized that the only way to grow is to focus intensely on the needs of their customers. In practice, this means hosting regular customer development conversations (10+ each month) and running experiments, all in an effort to build the products our customers actually want instead of the products we think they want. Let’s take a look at a case study on customer development with a product we know exceptionally well. The inspiration for our 100% free subscription metrics tool ProfitWell struck while we were helping a company preparing to IPO to get their pricing strategy in check. While reviewing their numbers, we realized that they were improperly calculating their MRR. We saw that mistake as a huge opportunity - we saw a need to provide really accurate metrics to companies that desperately needed reliable numbers. Saying we were wildly optimistic would be a huge understatement. We were toasting our success before our first sale. 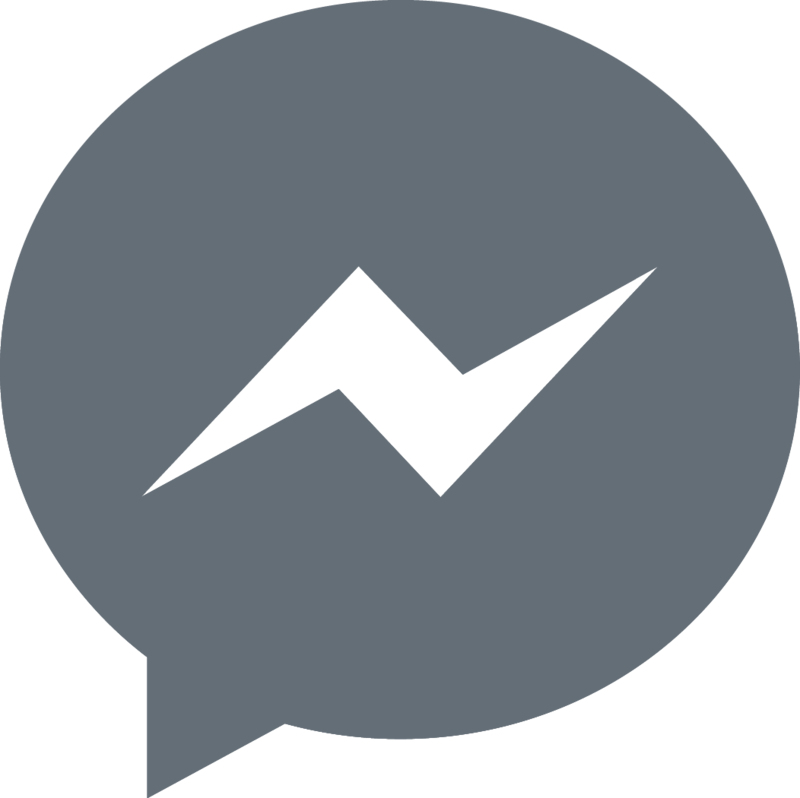 Stop building, stop buying ads, and stop guessing and checking - just start talking to customers. In those initial conversations, we laid the groundwork for a comprehensive product development and monetization strategy. We started by sketching out initial buyer personas, listing out our hypothesized customer types and the features we imagined they’d value. These rough ideas formed the basis of the experimental design we used to test our assumptions. In customer conversations, we sought three types of data: demographic, relative preference, and willingness to pay. Demographic data (annual revenue, team size, roles, etc) allowed us to segment our customers and lock down our core audience. Relative preference data revealed the feature set our audience cared about, letting us build a validated product roadmap and positioning strategy. Willingness to pay data let us dial in a price that maximized our profitability. We collected our data in tailored surveys - no longer than five questions each - that we sent to early customers, prospects we were talking to, and target customers who hadn’t heard of us. This wide coverage was vital to ensure a representative sample. 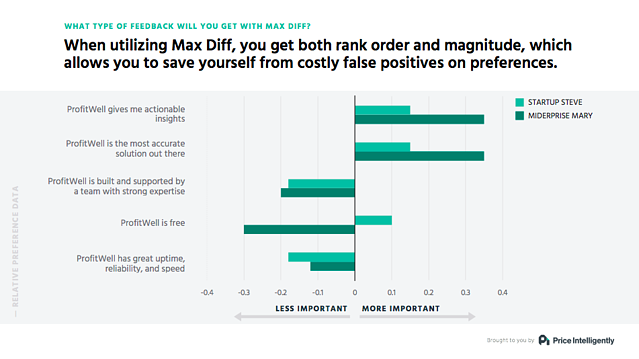 We used a statistical model called MaxDiff for our relative preference questions, asking respondents to select their most and least desired value propositions and features. With a bit of straightforward math, the data revealed our customers’ feature preferences in order along with their magnitude. We used these findings to target the most valued features for customers in each demographic group for our development and sales teams. We applied another statistical model - Van Westendorp’s Price Sensitivity Meter - to translate our raw willingness to pay data into price ranges. 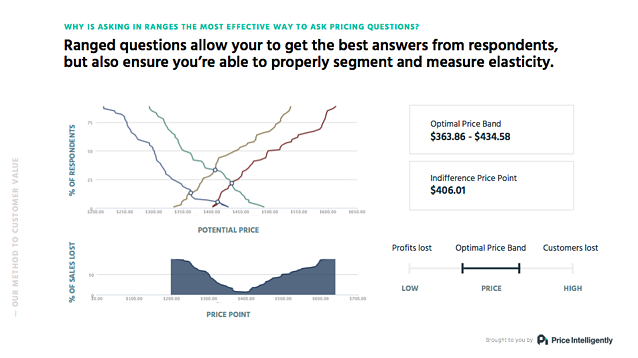 This approach revealed an optimal price band for each segment of customers and an elasticity curve that allowed us measure the impact of price changes on projected acquisition. 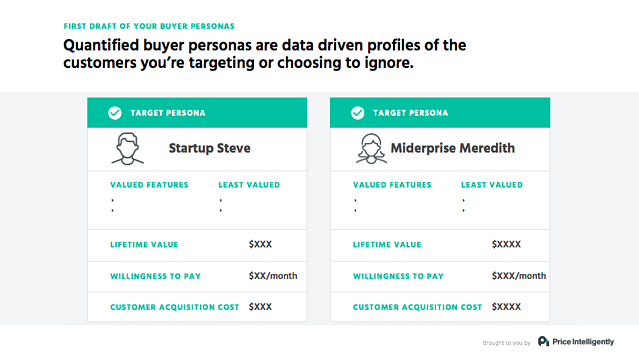 We rolled all of this data up into our quantified buyer personas. We found that while most of our targeted personas weren’t willing to pay much (or anything) for metrics, most were willing to pay for a tool that automatically improved their retention. 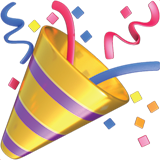 Even better, a lot of those customers were larger than expected, which allowed us to increase our prices and quickly get into the five digits for MRR. This entire effort took 12 hours of work and $2089 from start to finish. Looking at our product roadmap from before we started, I’d estimate that we saved us 18 months of spinning our wheels. That’s an immeasurably large return on our effort. 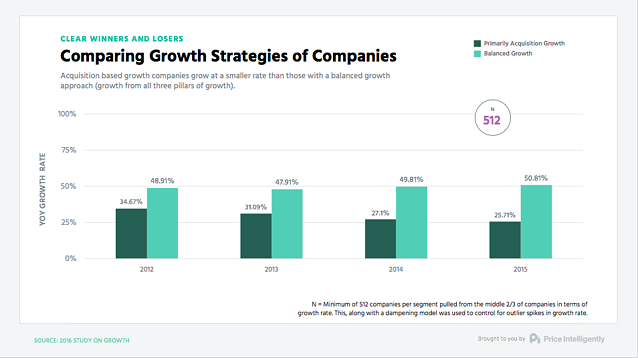 All of the indicators suggest massive changes are taking place in the recurring revenue world. The old methods of building your product, setting your pricing, and spending your scarce resources just aren’t going to work anymore. The only way to succeed in this market is to talk to your customers and trust them to tell you what they need. 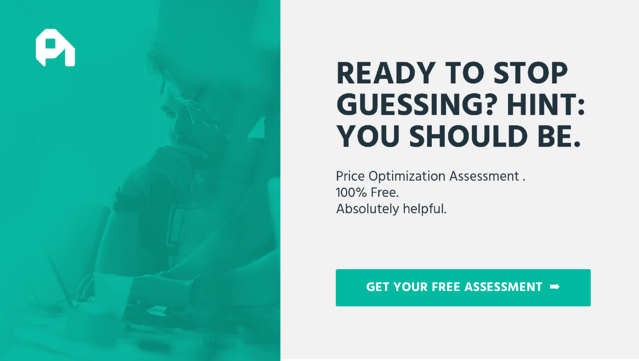 Taking the time to create quantified buyer personas pays dividends down the line. It will initially influence who you’ll target and where you’ll put your marketing, sales, and development resources and grow to inform every business decision you make.